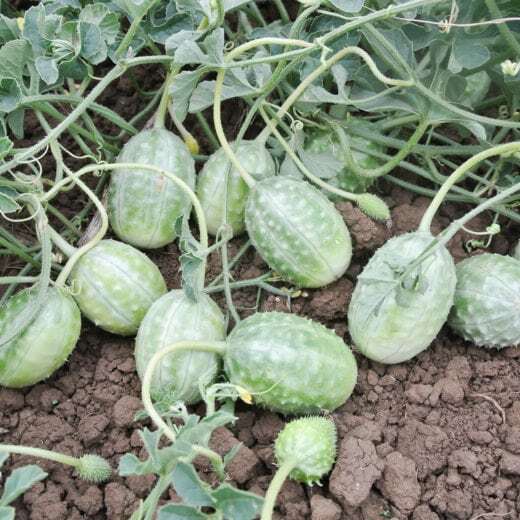 Cucumis anguria. Gherkin. 65 days. 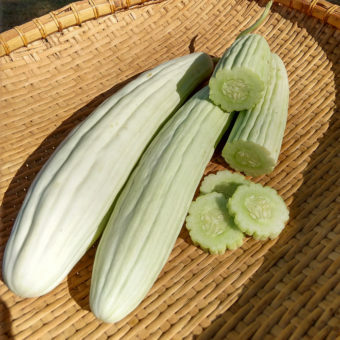 A rare and unique cucumber relative originating in West Africa and brought to Jamaica via the trans-Atlantic slave trade in the 1500s. It has remained a popularvegetable in Jamaica. 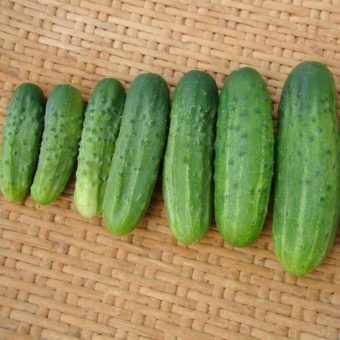 The Jamaican variety is a member of what are often called West Indian Burr gherkins. Earlier and more productive than the common strain. The 1-2″ long, light green fruits are covered with soft spine-like bumps giving it its unique look. Best eaten when small and young, before filling up with seeds. 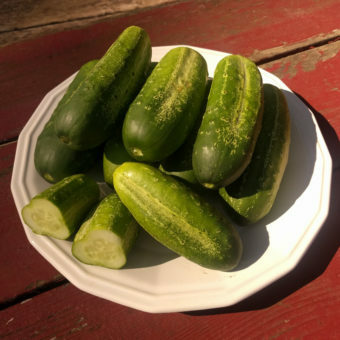 With a mild, slightly tangy flavor and a pleasing crunch, Burr Gherkins are fantastic pickled, cooked in stews and stir fry, and also raw. Very versatile, they can be used like cucumbers or cooked like squash. 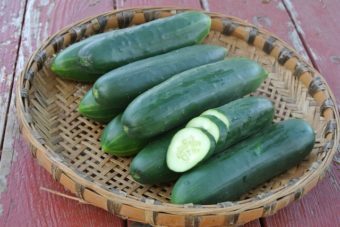 Even though the fruit are small, they are unbelievably productive, out producing every other cucumber we have grown. More resistant to disease and insects than cucumbers and squash. Grow similarly to cucumbers, however the vines can grow up to 8′ and love to climb up trellises. Sow indoors in 2” pots with good potting soil May to mid June. Two weeks after sprouting, transplant to 2 ft centers and 6 ft rows. May also be direct sown when soil is warm. Cucumber plants benefit from floating row cover to protect them from insects and frost while plants are young. To save seed, scoop out seeds when the fruit is bloated like a yellow blimp. Rinse off and let dry. Isolate from other varieties of the same species by at least ½ mile. Germinated then disappeared as seedlings. Slug loved?